Check out the best of the best with the latest from WOW WORSHIP! The double CD is stacked with music from your favourite performers, including 12 tracks recorded exclusively for this CD. The DVD features 16 video clips! 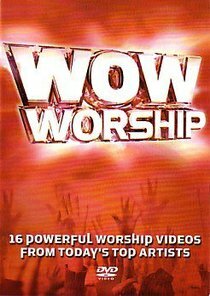 About "Wow Worship Red 2004"
The first ever WOW Worship DVD containing 16 incredible praise and worship videos from today's top Christian artists. The DVD is a companion to the bestselling WOW Worship CD series.